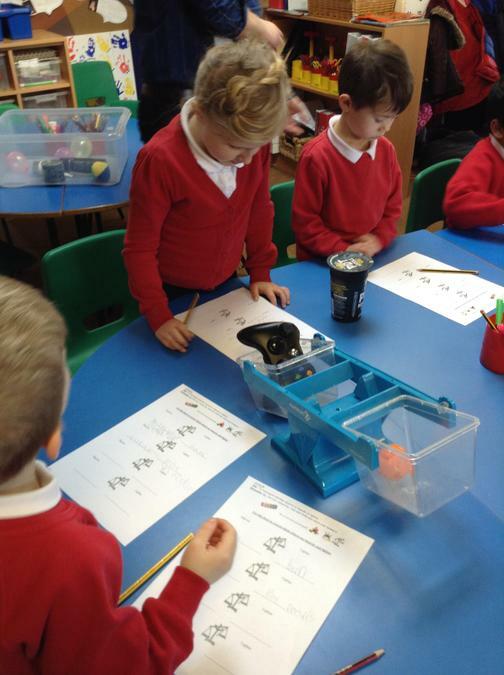 This week in Maths we have been looking back at all the different things we have learnt in maths this term. 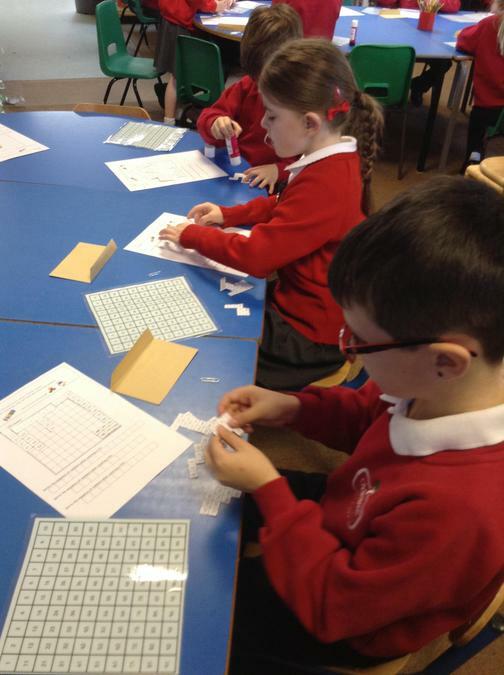 These included measurement, place value and number work with numbers from 0 to 50. 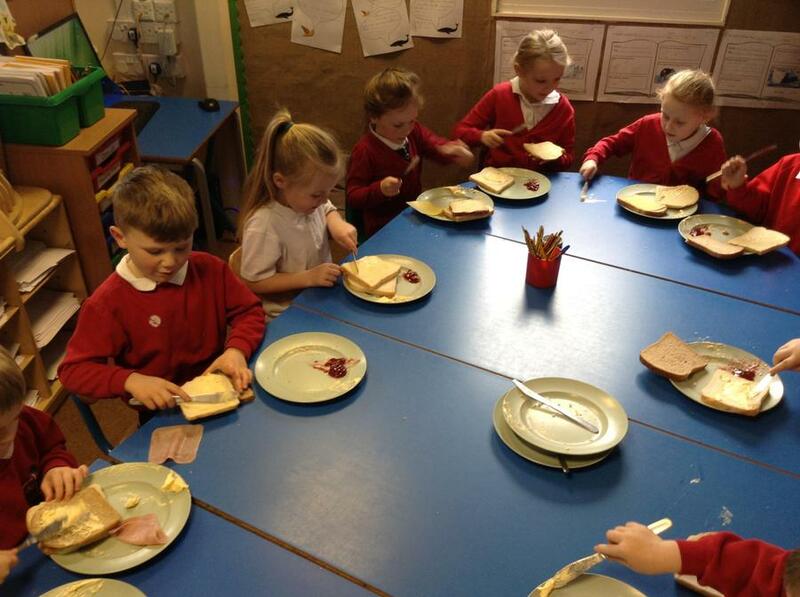 On Monday we started our English work by making sandwiches. 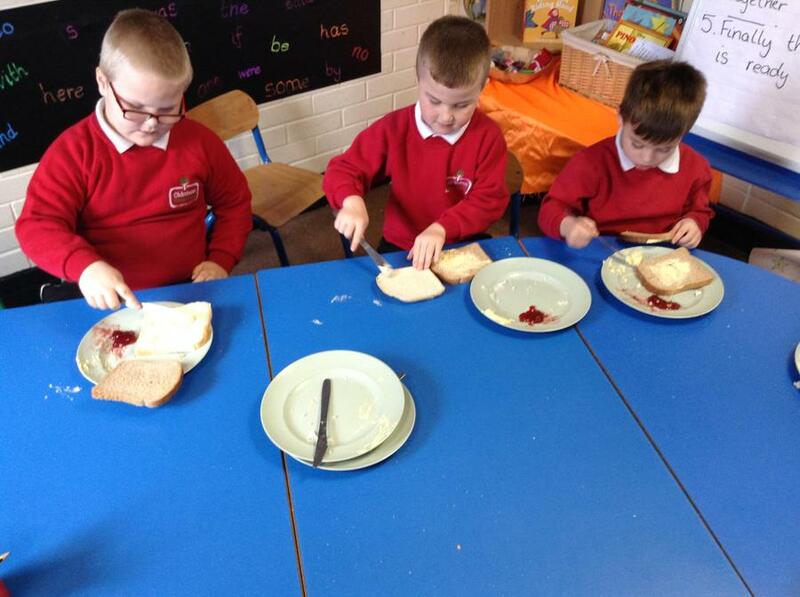 We talked about the different fillings you can have and how to butter the bread and add your filling. 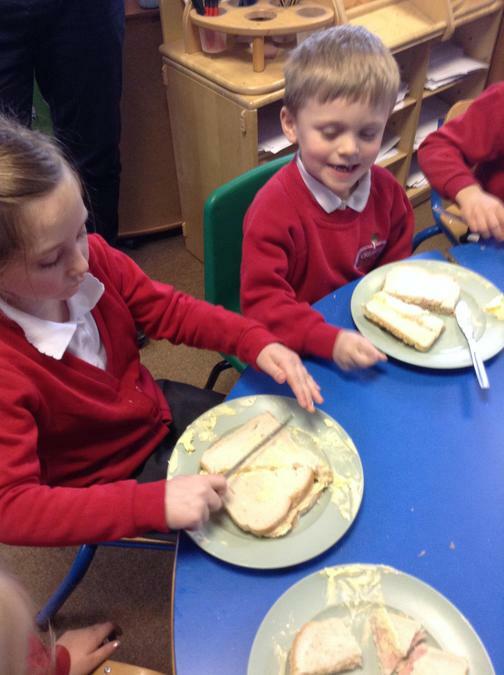 We did this so that the following day we could start writing our own instructions on how to make a sandwich. 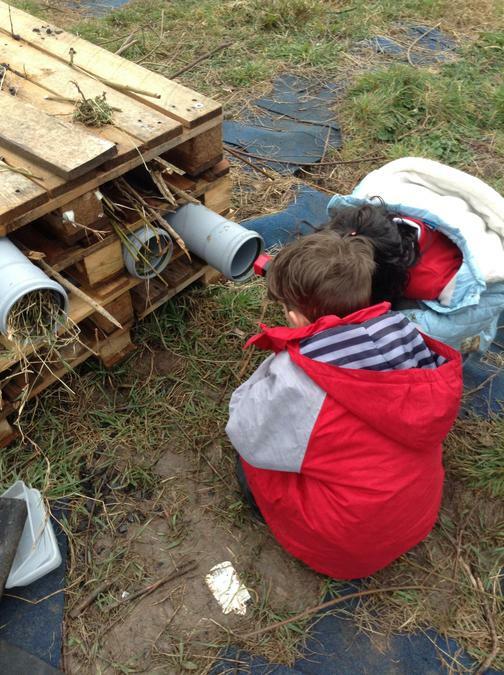 This week was our last week at forest school unfortunately due to the bad weather we could not go to the woods. 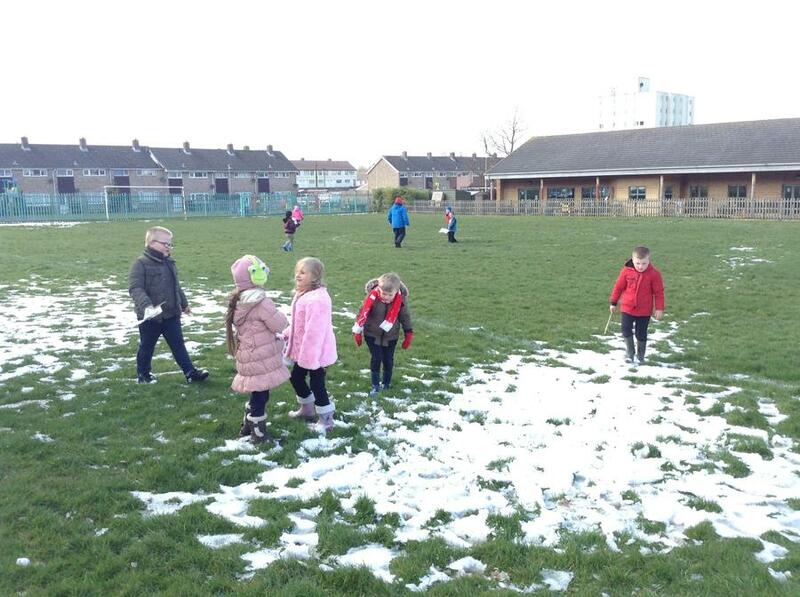 However we had great fun outside exploring the school grounds and the left over snow and warmed ourselves back up with some delicious hot chocolate. 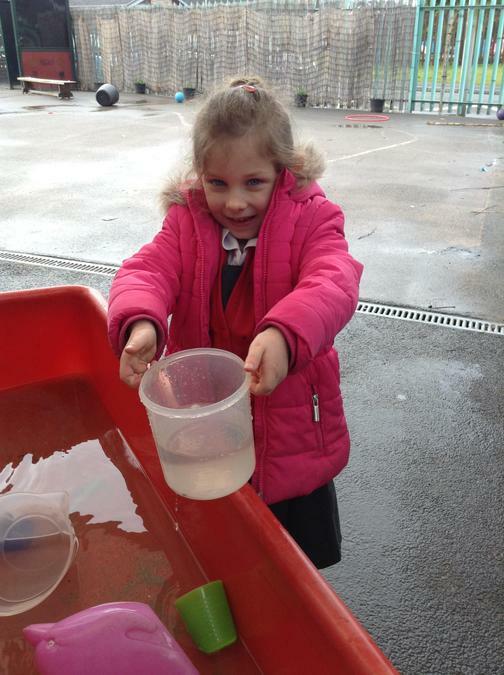 This week in Maths we have been working on capacity and volume in different containers. 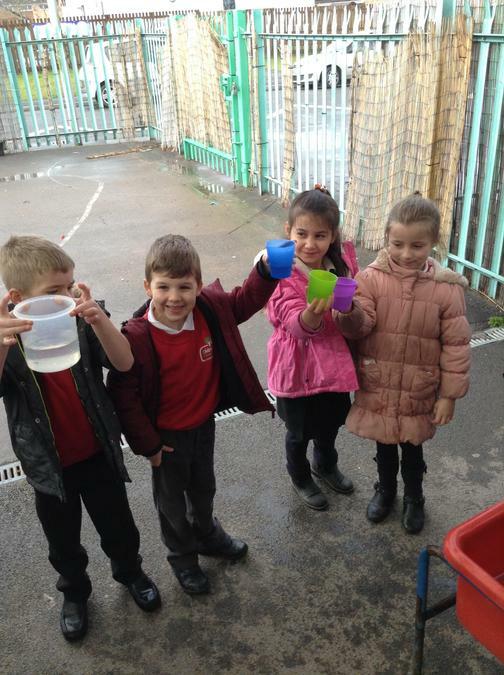 We went outside and experimented with different objects and worked out how much water they could hold. 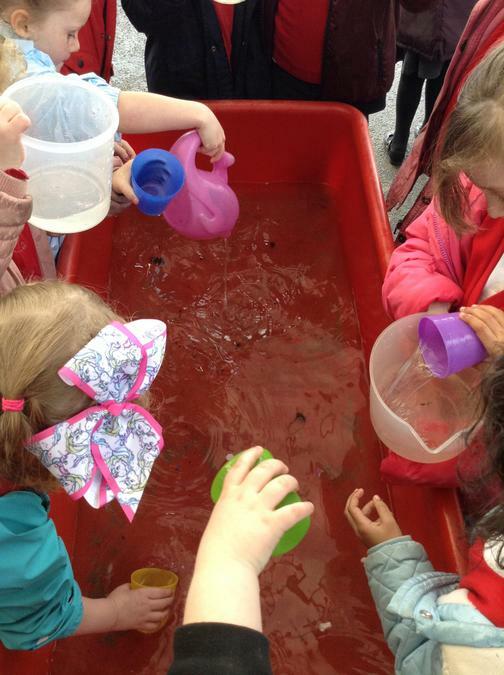 We also looked at the amount of liquid in a cup and whether it was full, half full, empty, a quarter full and three quarters full. 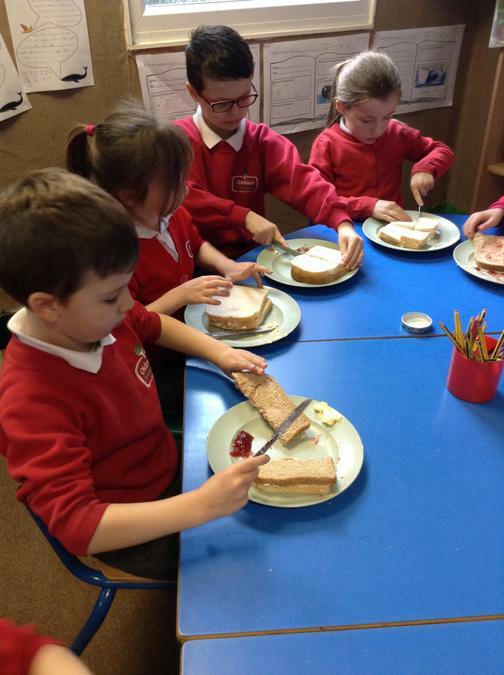 For our English work this week we have wrote instructions for our Mother's Day biscuits that we made. We have also produced our own travel books. 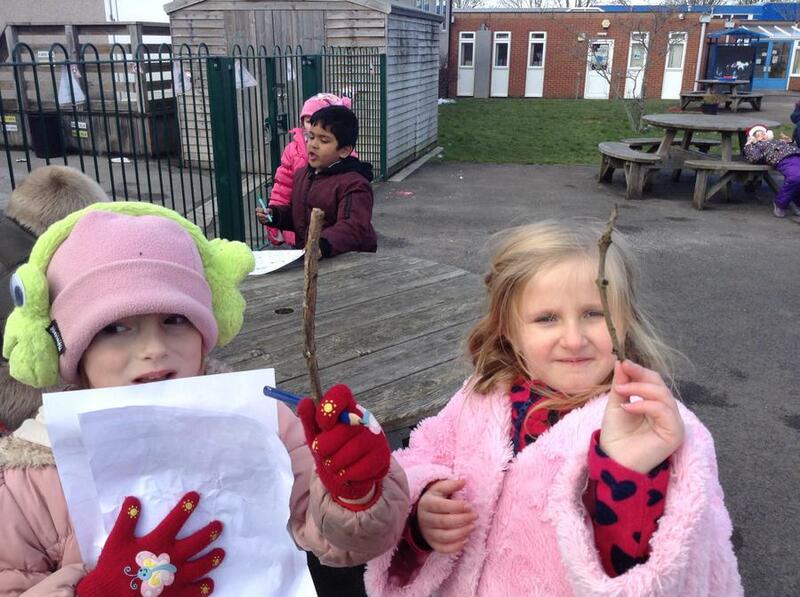 We wrote about the North and South Pole and the animals that live there. 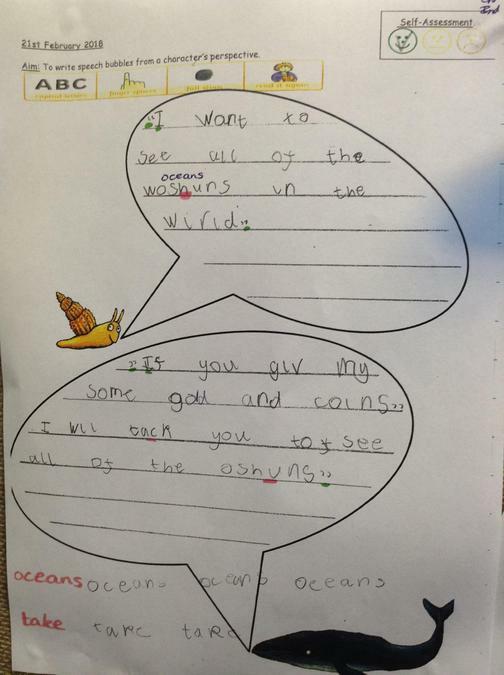 Then we wrote about the hot countries Hawaii and Australia and the different animals that live there. 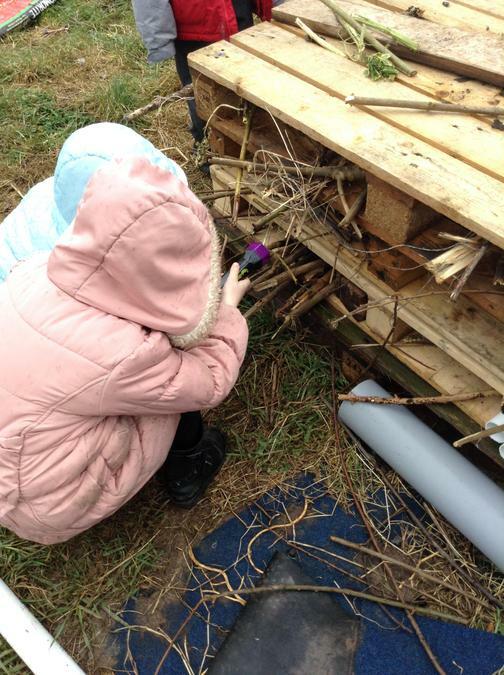 As part of our Enquiry work we made a minibeast hotel. 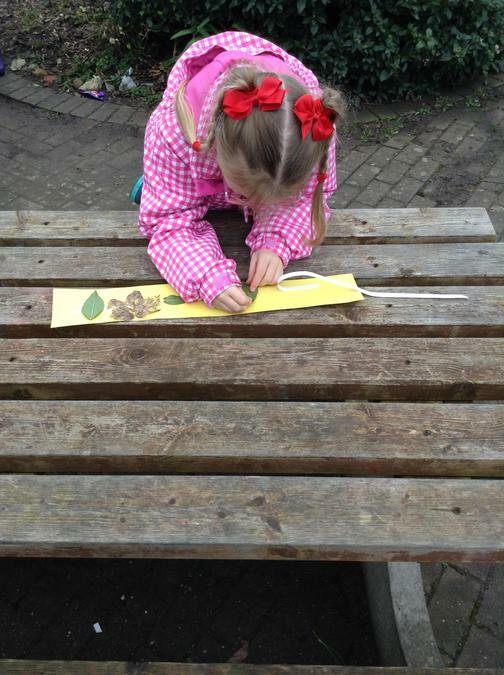 This week we went out to see if any minibeasts had moved in. 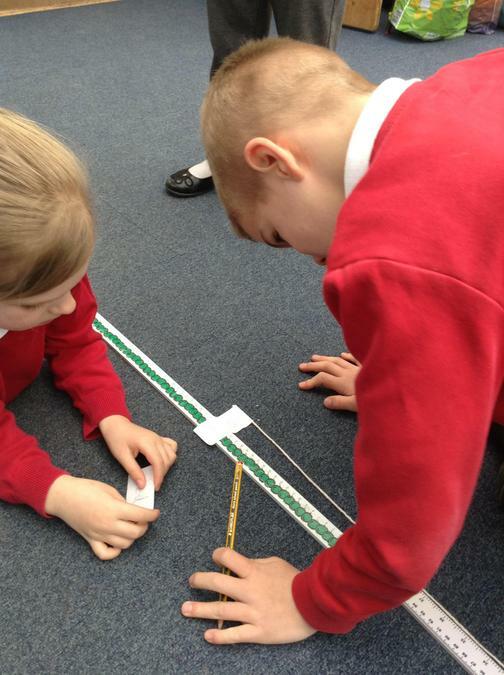 This week in maths we have continued our work on measurement we have been using rulers to measure different objects. 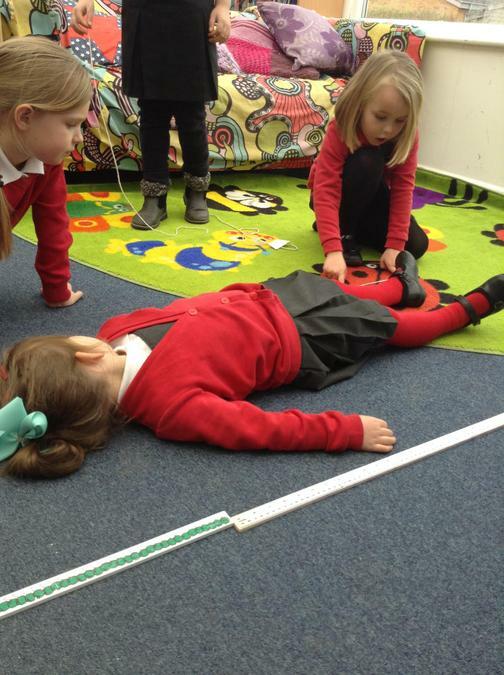 We have measured our own body parts and had a sheet with mini beasts. 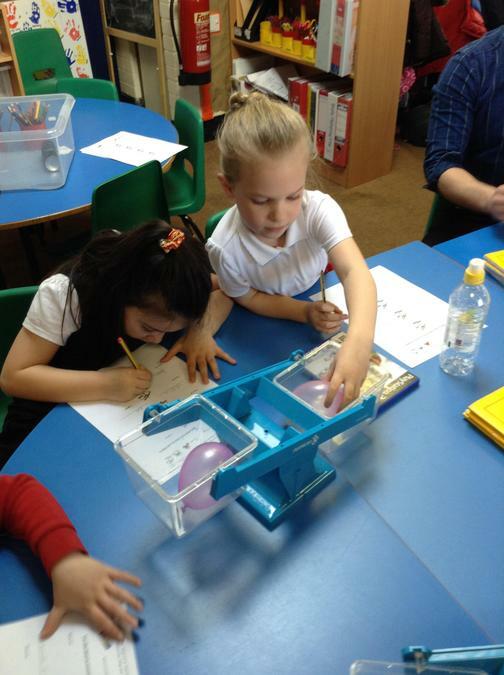 We have also worked on weight we had lots of different things to weigh. 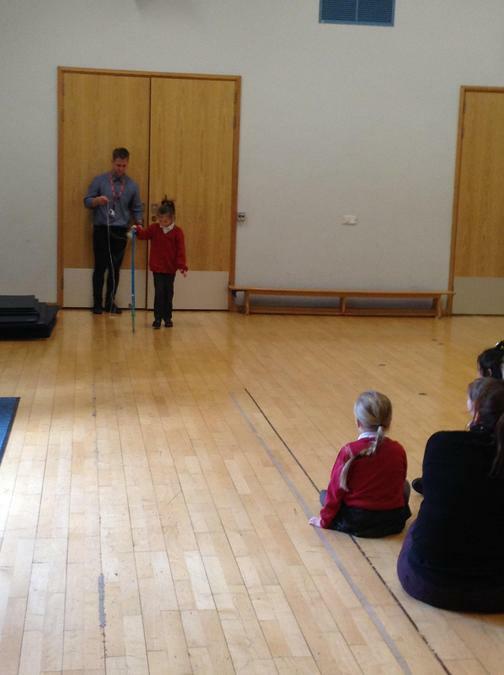 We then had to make predictions about what we thought would be the heaviest or lightest. 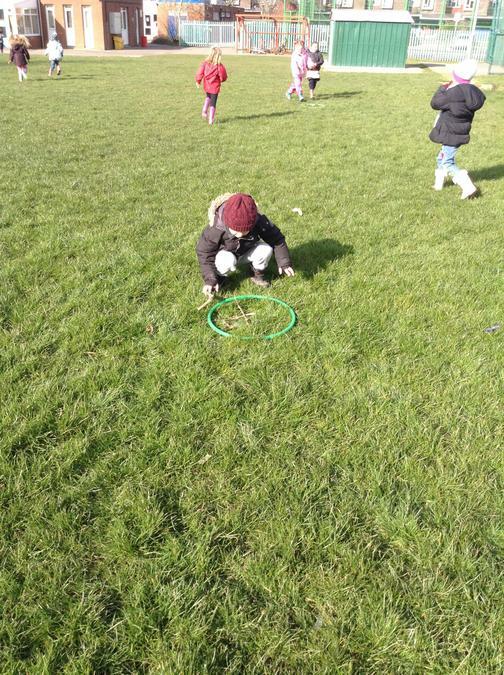 For our English work this week we have looked at different story ‘Lost and Found’. It’s all about a Penguin that turns up on a Boy’s doorstep and then follows him around. 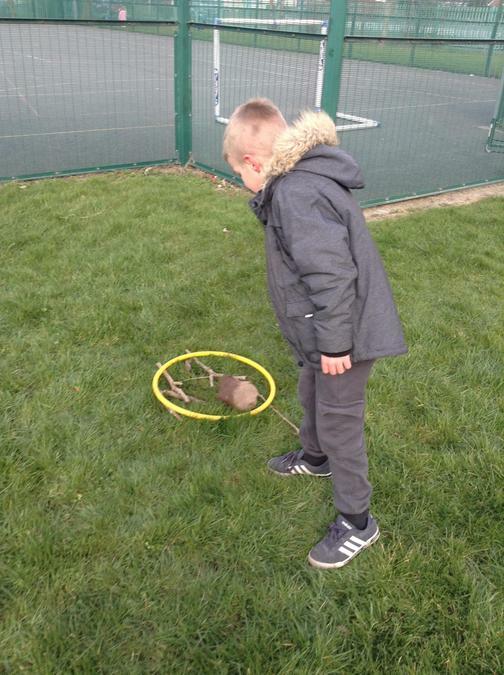 The boy tries to take him back to the South Pole and then realises the Penguin is lonely and takes him home again. 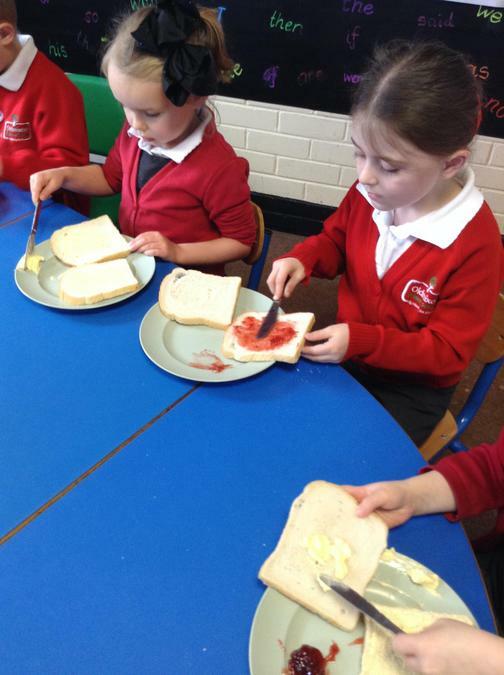 We have all really enjoyed learning this story. 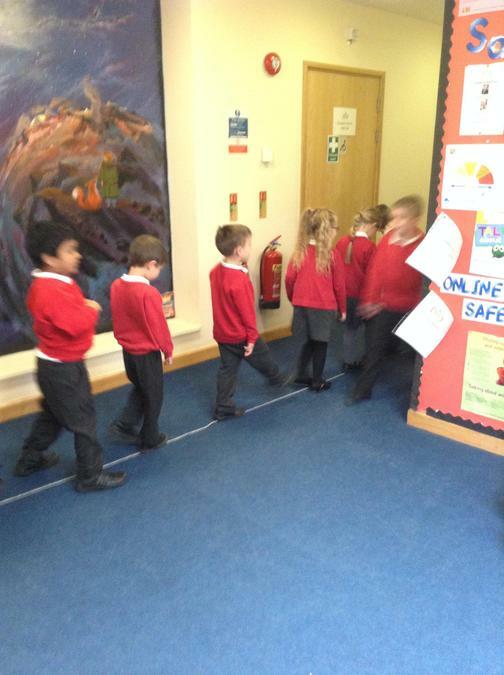 We have written our own recounts of the story using the beginning, middle and end. 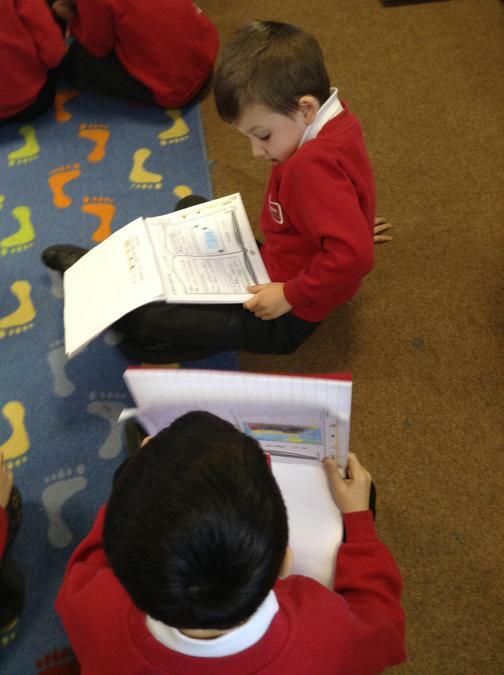 The following day we wrote a book review all about the book. 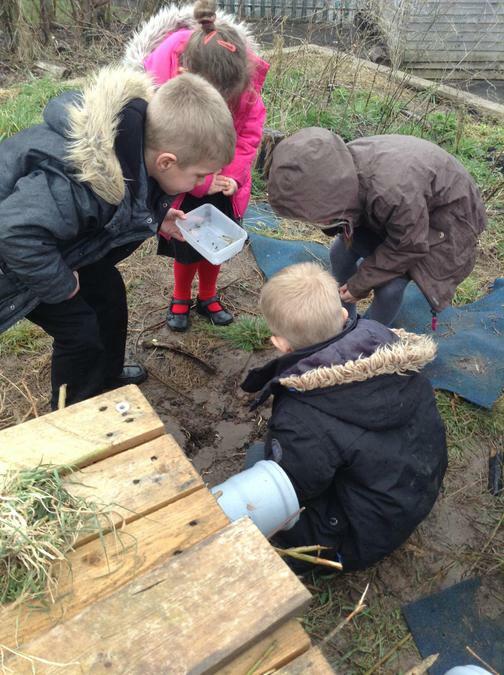 In our enquiry work this week we have been looking at the different habitats that animals live in. We focused on hot and cold areas of the world that they live in. 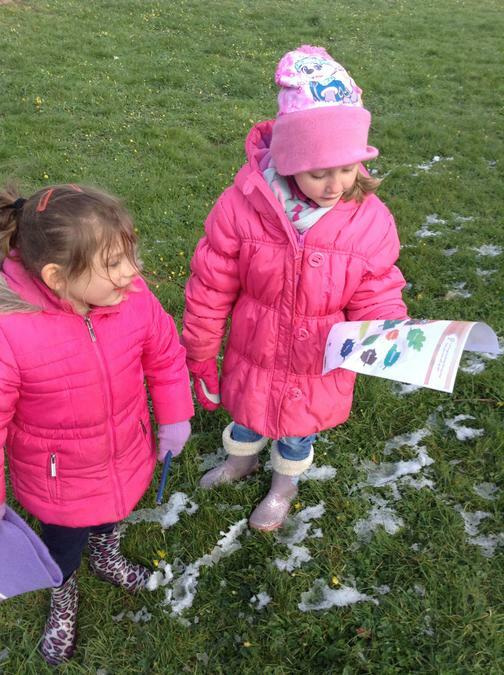 We drew an animal from a cold place and described a feature that helps it in this habitat we then did the same for a hot place. 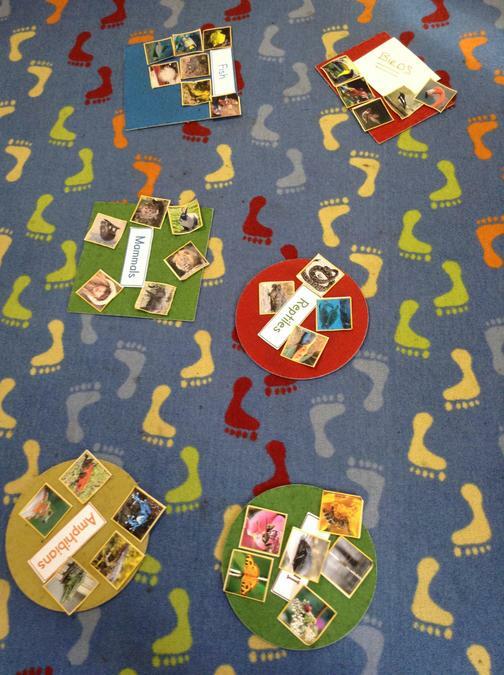 We also decided what type of animal it was Mammal, Amphibian, Reptile, Bird, Fish or Insect. 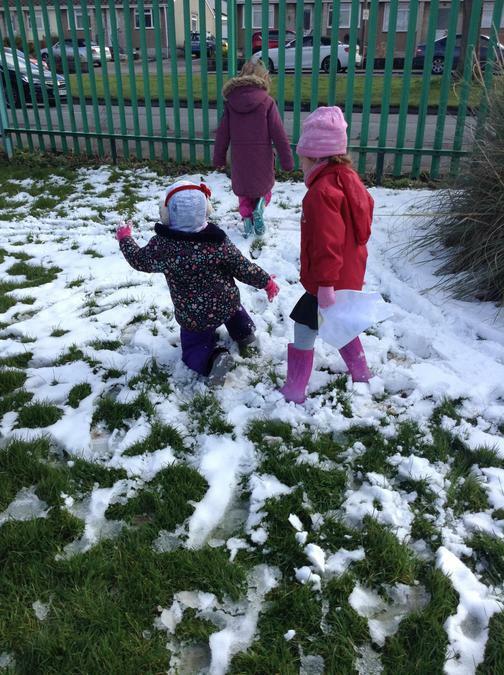 This week has been slightly shorter at school due to the snow, but the children loved being able to go outside and experience what it feeling like to be in the snow and finding small puddles that had iced over - although many weren't so happy about the cold! 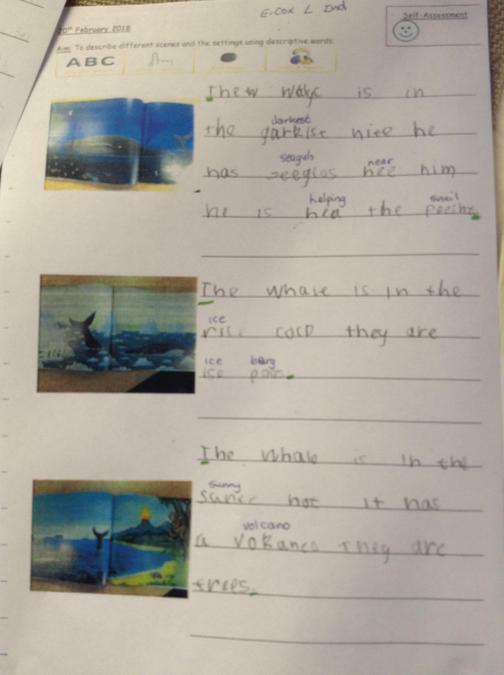 In English this week, the children have had more of a focus on non-fiction writing, being detectives and finding out information in fact sheets that they highlighted and then used to create their own amazing facts about whales and snails. 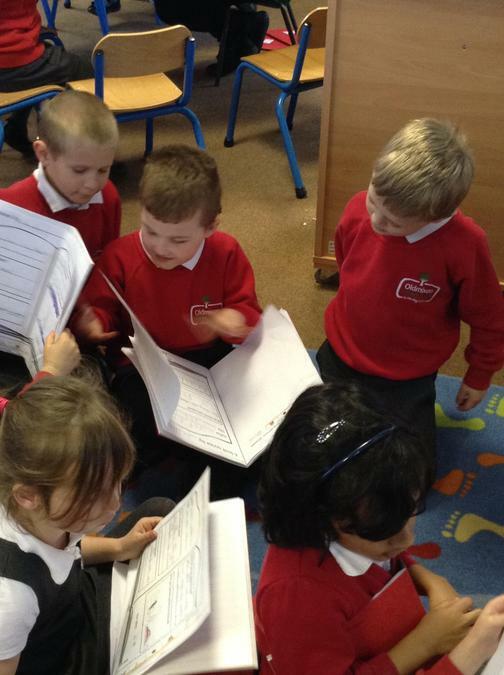 The sheets that they produced independently really show that they are taking on lots of information and recalling it to share with others in lots of different ways. 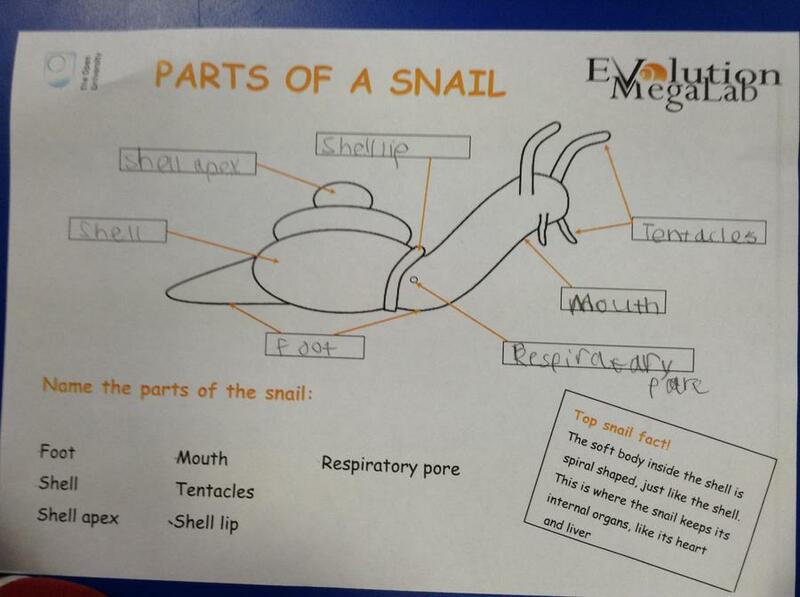 They also combined their literacy skills to support the science sessions where they needed to label the different parts of a snail. 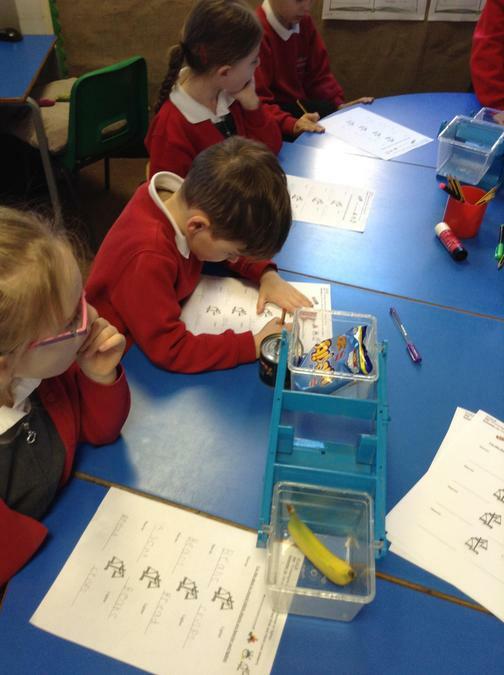 Oliver concentrated really hard to write clear labels for all the different parts of the snail, as well as remember to form his letters carefully and correctly. 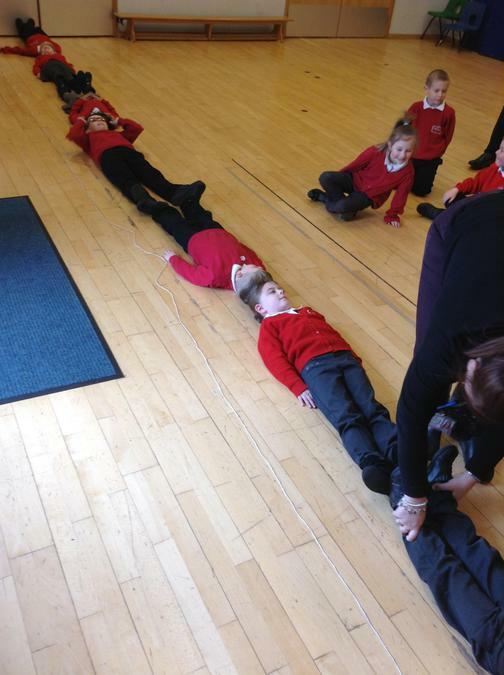 In Maths, the children started off the week by using some of the information that they had learnt and measured out how long a really humpback whale could grow - 18 metres long! 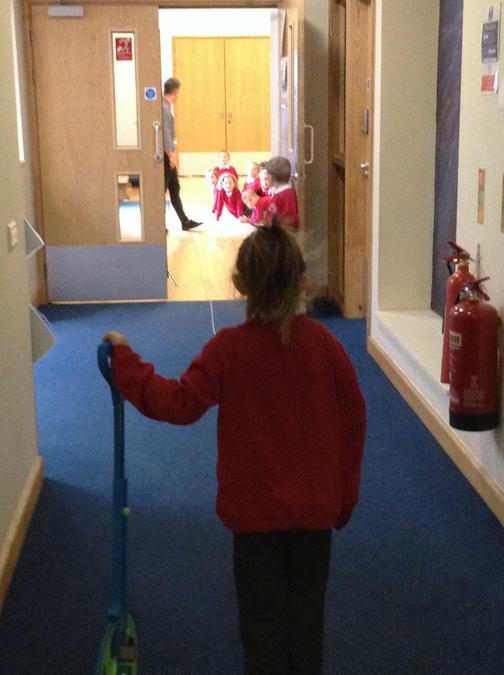 They learnt how to use a ruler, metre stick and trundle wheel as standard ways to measure accuratly, but also used non standard methods such as how many footsteps it took from one end to the other, used a piece of string that measured 18 metres long and finally, a suggestion was made to see how many children lying down it would take to get from the tail to the tip of the humpback whale's nose! 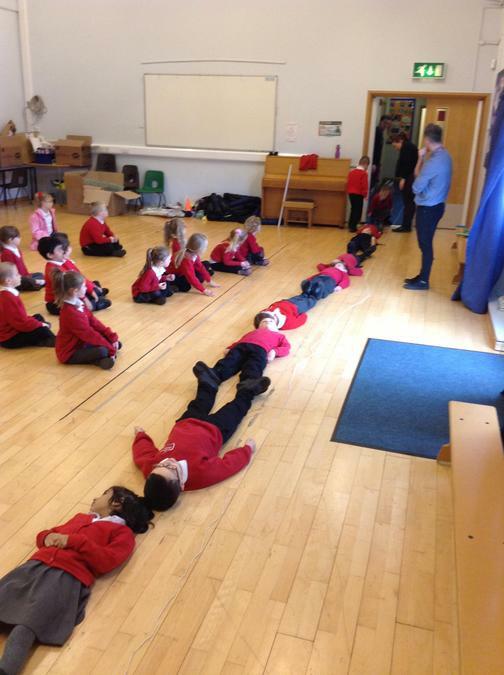 It was 15 children long and went from the end of the sports hall, right out to into the hall way !! 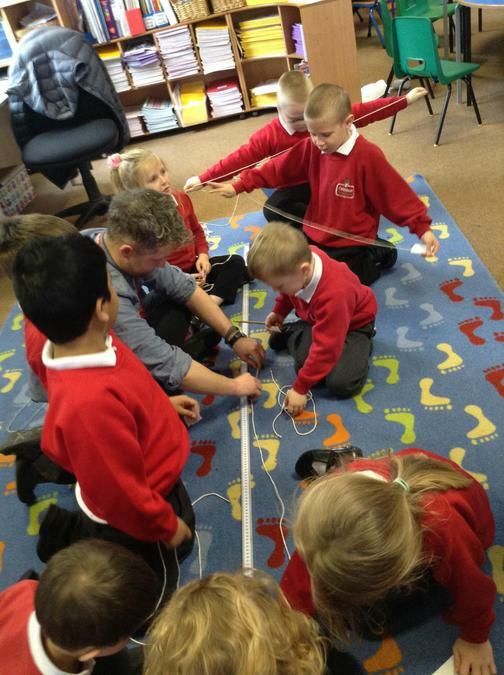 From this starting point, the children then went back to the classroom and started to measure each other with a piece of string, before lying that up against the metre sticks and finding out how tall they measured. 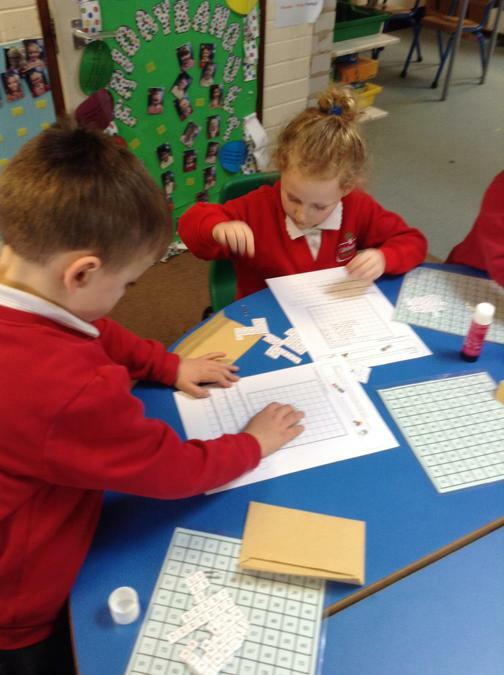 Then, the children asked to see who was the shorted and tallest in the group, so they helped each other to order themselves to do this in table groups - there was alot of mathemtaical questions and discussions that came out of this activity. 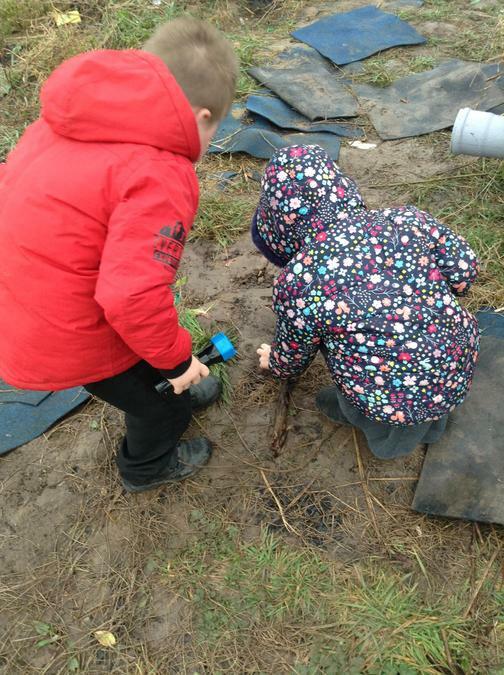 The children all had to wrap up warm for the forest school session this week - they went out into the school grounds adn looked at the plants around them and noted any seasonal changes that were beginning to occur. 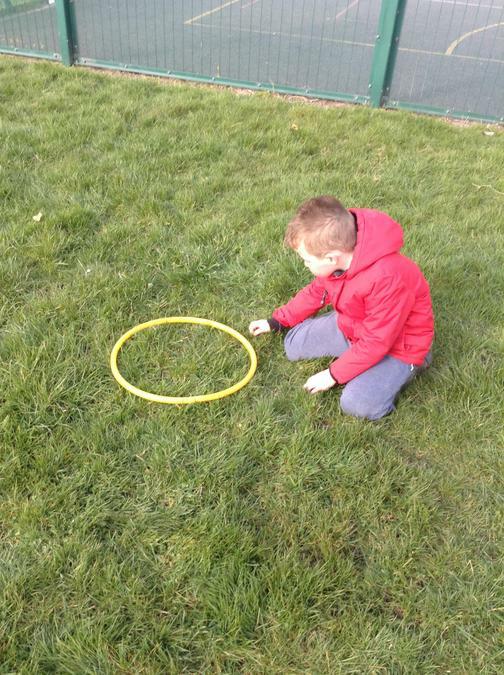 They were then given a task to work in small groups to gatehr things that they found interesting to create a natural piece of art within a hoop frame. 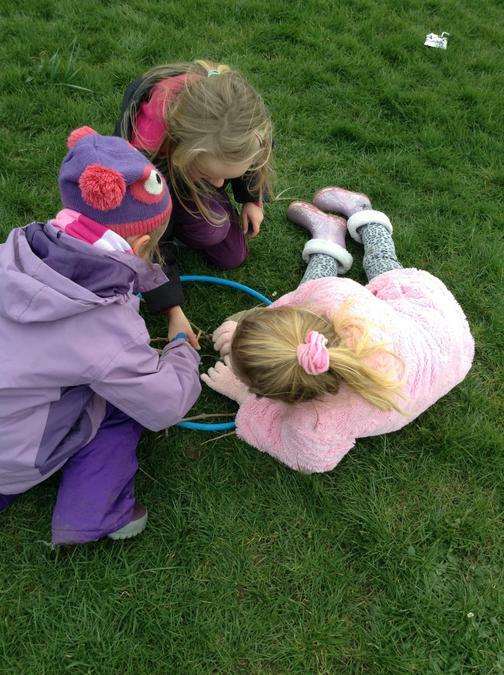 There were some lovely scuprtures and pictures produced and the children worked really well together sharing ideas, helping each other as well as working through a few compromises too. 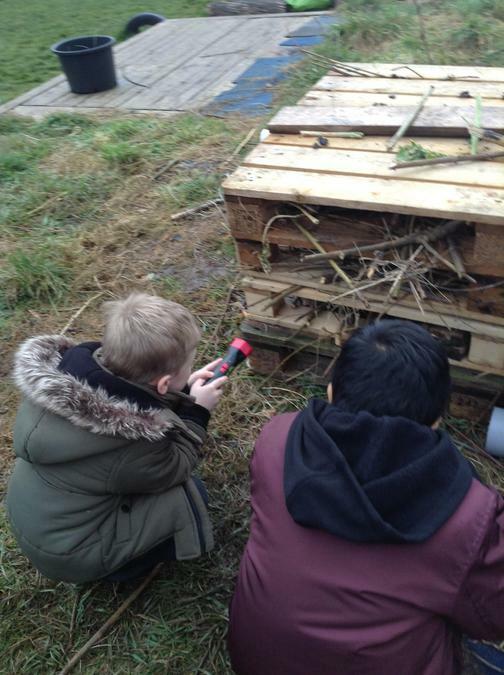 They really look forward to this session - please remember to bring your forest school kit into school for every Monday session this term. 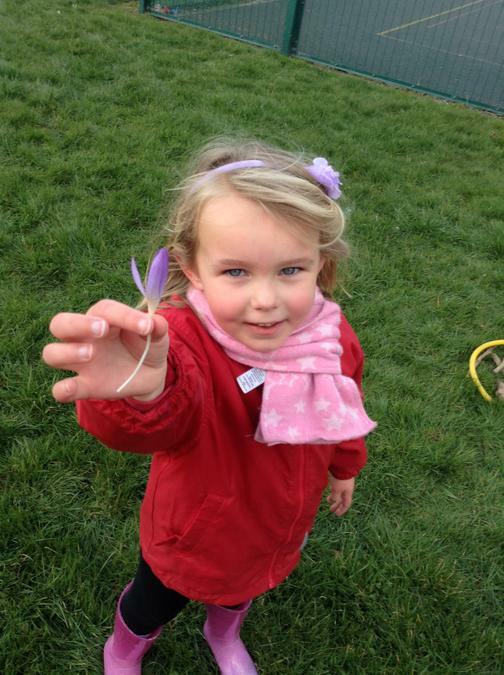 This week Year 1 had their first week of Forest School. 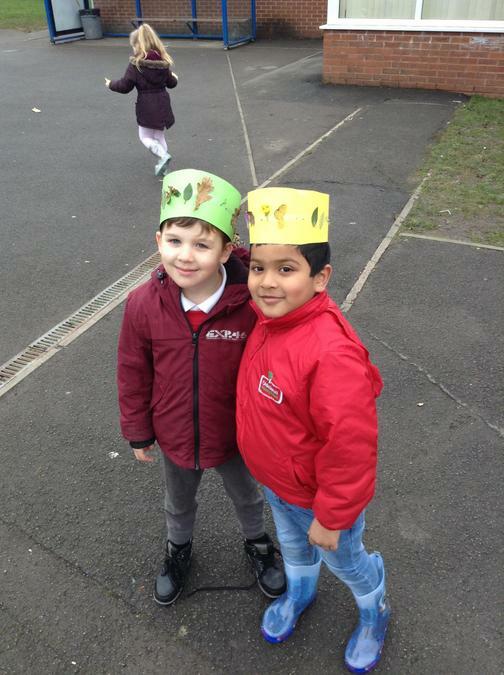 We went out in the school grounds with Mrs Parker and looked around our environment we collected lots of different leaves and flowers and made crowns and bookmarks. 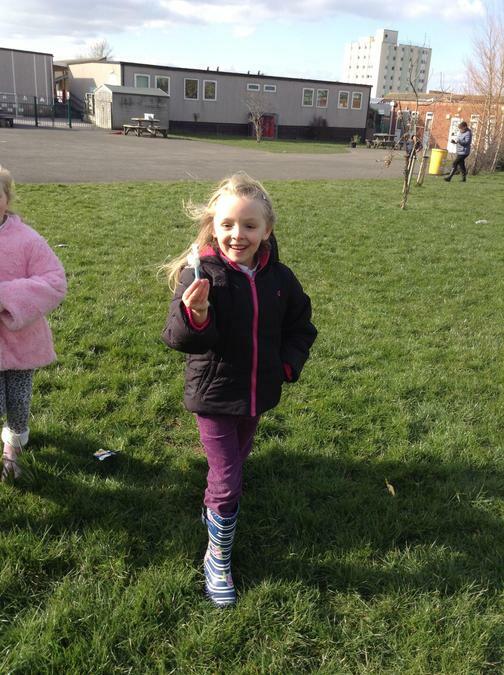 We all had lots of fun and are looking forward to next week. 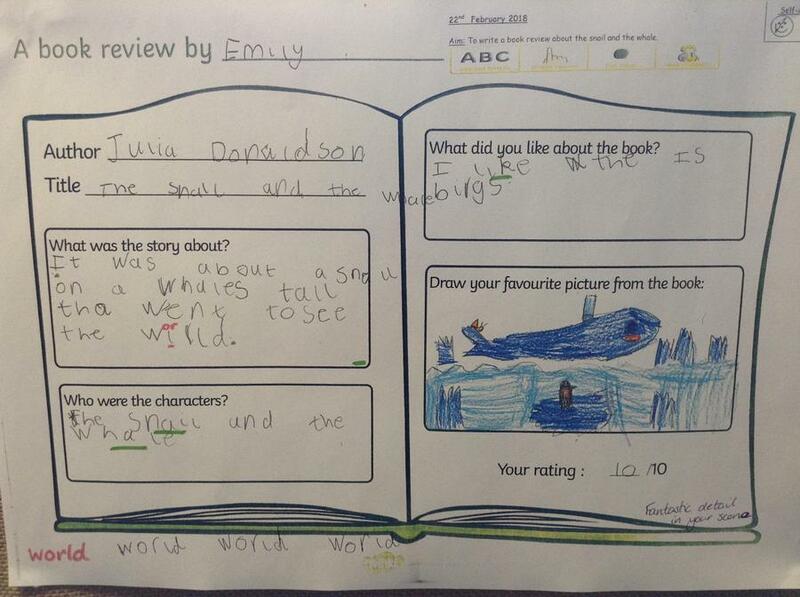 This week in English we have started to look at a new book 'The Snail and the Whale.' 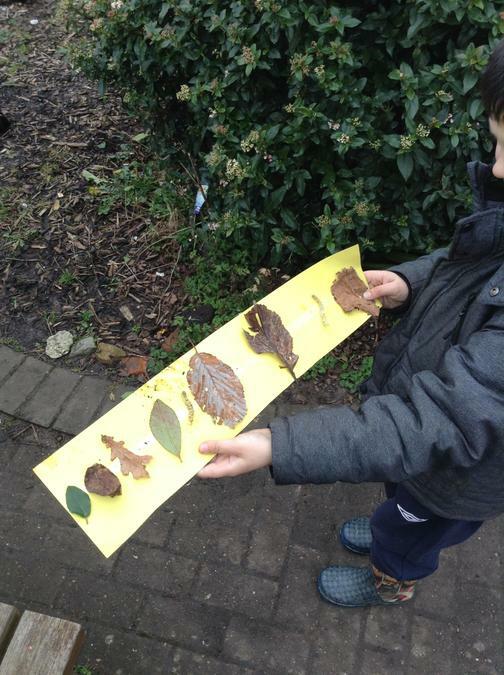 We wrote about what was happening to the Snail and Whale in different parts of the story and about what they might say to each other. 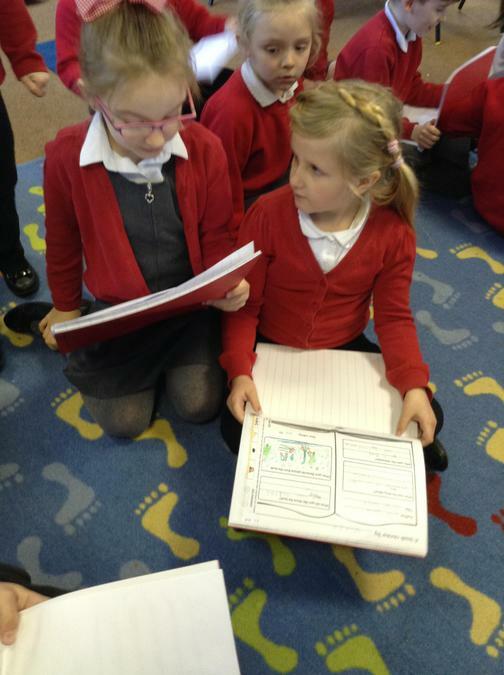 We have also written book reviews about the story. 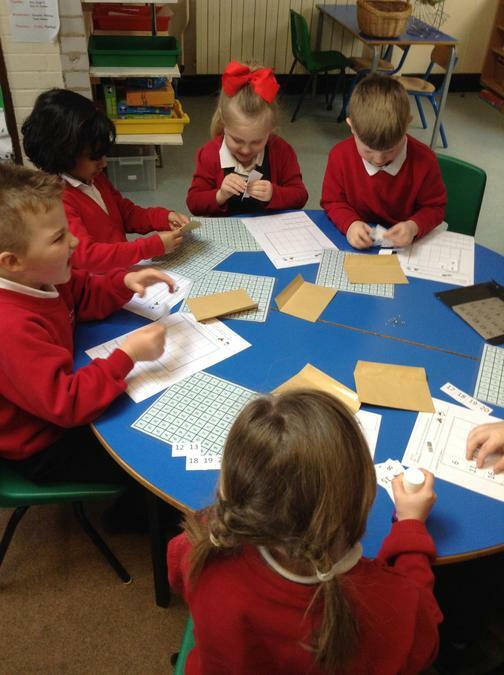 For our Maths work this week we have been working on groups of numbers for 2's, 5's and 10's. 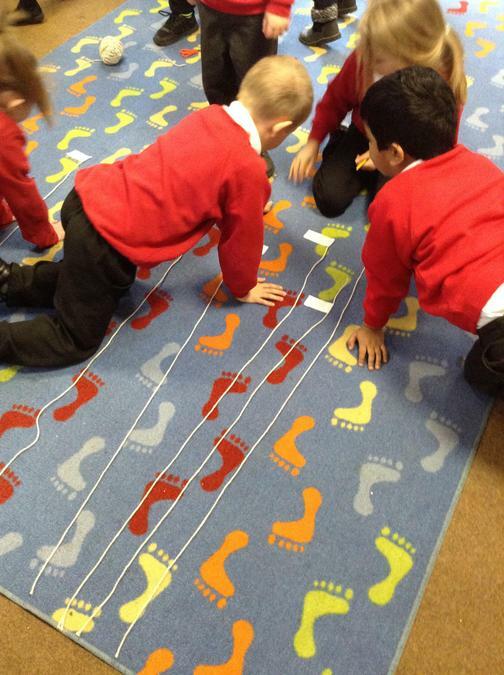 We had a 100 square and looked for the different 2's numbers and found that they were all the even numbers. 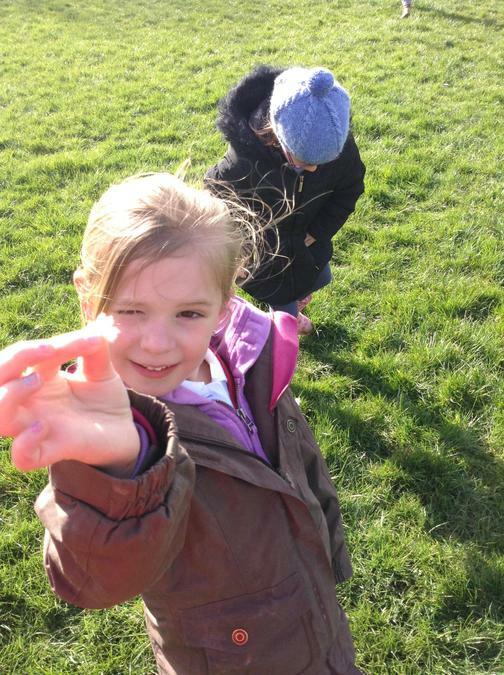 Then we looked for the 5's and 10's looking at the different patterns.